The Moto G line has always stood out for its excellent quality price ratio. The Moto G6 wants to carry on the tradition of the brand with its head held high, showing off the new generation that looks a little different, following the new trends of the mobile world (not all, you'll be pleased to hear) and establish itself in the mid-range market. Has Motorola achieved its goal with the new Moto G6? The Moto G6 was announced in Sao Paulo along with G6 Play and Plus. The US will only receive the standard and the Play version, which will land sometime in May, but we don't know exactly when. So be sure to check back here for updates. The G6 will cost around $249, and the Play version will be around $199. Inside the colorful box, in addition to the smartphone, you'll find the TurboPower charger, cable, the pin to extract the SIM, the case for the microSD and a transparent plastic cover. No earphones are included. Since 2013 Motorola has been offering its G series to those who are looking for high performance, affordable and durable smartphones. The arrival of brands such as Huawei and Honor has undermined the brand's position in the mid-range device market but with the G6 Motorola seems to want to earn the title of the best value smartphone. How? First of all by focusing on a new design. Personally I've never been a fan of Moto G devices: performance wise, yes, but the design has never interested me. After all, looking good was never the objective of the series. At first glance, however, you can see that the G6 wants to change, which explains why it has been inspired by the Moto X4 rather than its predecessor, the Moto G5. The G6 catches your eye straight away with its shiny body, creating pleasant light effects (moving the smartphone you can see an S created by the light reflections), and slightly curved edges that make it not only elegant but also easy to handle. The curved edges on the back kind of resemble those of the Galaxy S7 Edge. On the body is the oval section with the camera that protrudes from the body of the device, which is one detail that I don't like (if you read my review on Honor View 10 you already know what I think about it) but, at least, the G6 doesn't slide when placing the smartphone on a flat surface. Despite the 3D Gorilla Glass shell, the frame is made of plastic, an important detail that doesn't spoil the overall design of the device. On the contrary, the choice of this material in this area is an advantage: it makes the smartphone more resistant if you drop it. The only downside about the glass body, is that fingerprints are easily visible. So be prepared to do some cleaning! The Moto G6 positions the power button and volume control to the right, and is as easy to reach as on most devices. It features a 3.5mm mini headphone jack (still important for many) along the bottom edge, and a USB Type-C 2.0 port. The SIM slot (the G6 supports dual SIM) and microSD is located along the top edge. and there is nothing on the left edge. On the front is the oval fingerprint reader that acts as a home button, too. It also has the brands logo on it; a questionable design choice but it depends on your taste: personally, I don't like it. The slim fingerprint reader, however, means that the bottom of the display isn't too large. On the upper side there are mono speakers, a front camera and sensors. At 167 grams, the Moto G6 isn't a lightweight smartphone, but it is compact and comfortable to hold in your hand. It's also important to know that the device is only splash-proof, not water-resistant - make sure you don't drop it in the sink, pool, toilet, or you might not be able to use it again. The Moto G6 has a pleasant 18:9 screen, dubbed Max Vision. The 18:9 format is a must for the high-end, but also used in the midrange (Alcatel 5, for example). This format allows you to have a larger display without affecting the overall size of your smartphone. The G6 incorporates a 5.7-inch IPS LCD panel with Full HD+ resolution resulting in 424ppi. The screen is bright enough and with good viewing angles. However, it is not easy to read in sunlight: you have to set the brightness to the maximum. The colors are good overall and not very saturated. The whites are slightly blue by default, if you want to, you can change this by accessing the display settings you can adjust the colour temperature to your taste. The blacks are not deep, but everything looks normal for an IPS panel. In the Moto app, on Moto Display, you can turn on night mode and enable on-screen notifications to be shown off. I used the Moto G6 to watch Netflix and other video content on YouTube and the display was a nice surprise for this price range. An important note: not a notch in sight! One of the strong points of the Moto G is the updated and lightweight software. A practically stock version of Android awaits you on the G6 with Android 8.0. Not the latest software version, but at least it's Oreo anyway; security patches were updated in March. There is virtually no bloatware, with a few exceptions like Linkedin. Google apps and the Moto app dominate it, and these system files take up about 7GB of the space in total. In addition to Moto Display, you'll find Moto Key, to add websites to apps more securely with your fingerprint, Moto Actions, or the well-known gestures that optimize the user experience by saving time and steps, and Moto Voice Beta, a voice assistant but does not offer anything more than Assistant. Between the two I prefer to keep relying on Google Assistant, but maybe it's just a matter of habit. These small details are what impressed me. Few bloatware and functions such as face recognition that allows you to unlock the device quickly. However, it doesn't work in the dark or indoors without good lighting. In order to do this, I had to move near the window, for example. The Moto G6 incorporates a Qualcomm Snapdragon 450 octa-core 14nm processor that runs at 1.8 GHz alongside an Adreno 506 GPU at 600MHz. There is 3GB of RAM available in the drive I tested, and 32GB of memory which is expandable to 128GB with a microSD. It should be noted that in the US, the version with 4GB RAM and 64GB storage will not be available. The Snapdragon 450 can be considered one of the new Qualcomm chips even if it's not among the most powerful. In everyday use, the Moto G6 doesn't cause problems with applications such as Spotify, Instagram, Facebook, Gmail and WhatsApp. But, it's not the right smartphone for gamers. However with games that aren't too demanding on the system, the G6 gets off to a good start. In games like PUBG you'll notice the limits of the hardware: you can play it but the overall experience isn't at all impressive. This is normal for a smartphone in this range though. It has Wi-Fi a/b/g/n dual band, GPS and Bluetooth 4.2 with EDR and LE. Call quality is good, no problems on either side of the handset, even on the metro. In the settings you can activate Dolby Audio with different tabs dedicated to cinema, music, game and voice. The sound, especially in the capsule, is loud and clear. NFC and FM radio are present, which is a rarity today. From the settings menu you can manage the two inserted SIM cards. One of the other features is the inclusion of a double camera on the back with an LED flash. The camera is 12MP with an f/1.8 aperture, autofocus with phase holding and a 5MP sensor that focuses on Depth of Field. Different modes are included in the camera app, which are: portrait, panorama and face filters. It's clear that Motorola wants to focus on creativity and not lag behind the competition. In addition to cropping mode and sample color, which allows you to have a shot in black and white emphasizing only one particular color, the camera can recognize objects but you have to have a little patience: point the object and wait for a few seconds before seeing the results on the screen not always very accurate. The well-known bokeh effect in portrait mode is good but it isn't amazing. Inaccuracies can be seen around the edges, and to get a blurred background you'll have to bring the zoom out to the maximum and alter the image after you've taken it. The camera is slow to shoot. Capturing a moment quickly isn't really possible with the Moto G6, and I recommend you keep your hand still or you'll end up with blurred shots. Focusing is fast enough but the overall experience with the camera is far from it. When the light is good, the shots are detailed with a good dynamic range. Details are lost as the light goes down and noise appears. HDR mode does a good job with dark and brighter areas. The selfie camera is 8MP and integrates an LED flash to illuminate your faces even when the lighting conditions are poor. The G6's camera allows you to shoot 1080p video at 60fps but stabilized at 30fps. The Moto G6 has a non-removable 3000 mAh battery. Not much on paper, but it will get you to the end of the day after using your smartphone to message, manage emails, take pictures, and even watch some videos. On the PC Mark battery benchmark test the G6 reported an 8 hour and 11 minute result, overtaking Alcatel 5 (7:21). However, one of the advantages of the G6 is that it recharges quickly with Turbo Power: in 1 hour and 15 minutes it increased from 11% to 96%. 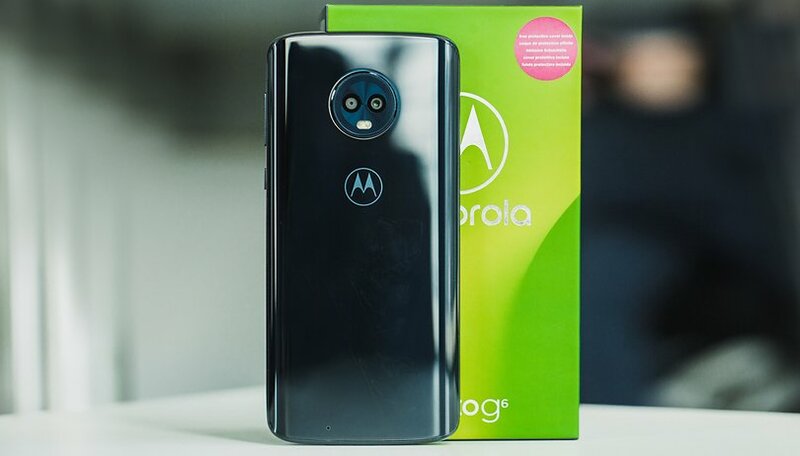 The latest generations of Moto Gs seemed to have lost the charisma that has always set them apart from other phones, while new players, such as Huawei and Honor, have conquered the European and Latin American markets by offering well made devices at a good price, the question is now, can Motorola conquer the US market? The Moto G6 is in my opinion a well made smartphone in several respects, bringing the Moto G line back to the golden era of offering users good value for money. It has a solid performance, beautiful overall look, and interesting features. The fair price for the package offered, but perhaps not competitive enough. I wouldn't say the G6 has any weaknesses, more like imperfections that are acceptable for the price range. This doesn't mean that competing with the Honor 9 Lite or the Honor 7X will be a walk in the park. What do you think of the Moto G6? Have you bought it? Yes I bought a G6+. the password. But it doesnt recognize my password so it is going back to the seller. Is it a good recommendation? I'd have bought the g6 plus except for the stupid choice of a glass back. So they went from Snapdragon 625 to Snapdragon 400 series??? I'm reading this article on my Zplay and this phone is getting hickups time to time with the 625 chip! The baseline g has the 400 series. The plus has the 600 series. I'm totally lost on this. If they charge $400 or more I'll never look back to Lenovo. I'm sorry Ms. Dauer. But any phone with a 400 series chip should not be considered "mid range". This is a low end chip used in a low end phone. Even the Snapdragon 821 is now affordable and considered mid range. Amazon is selling a prime exclusive LG G6 for $400 . Ant that has a proven great camera!